This museum may not be famous, but its collection is moderately significant and really worth checking out. It basically exhibits examples of Serbian applied art – right from antiquity to present day. The oldest items here are a collection of coins from Ancient Greece. It’s divided into seven sections that cover: metals and jewellery; textiles and costumes; furniture; photography; ceramics, glass and porcelain; and architecture and urban design. Altogether it has about 37,000 items. It’s a fascinating collection. The collection is based in a beautiful old building. It’s not very easy to find. Follow these directions: walk down Knez Mihaljova(on your left) up to the fortress; take Vuka Karadzica till you reach a small park. The building "Celebonovic Palace" will be on your right. The museum is inside it. Free for students of art faculties, Children under 12 years of age. Free on the last Saturday of the month. How popular is Museum Of Applied Art? 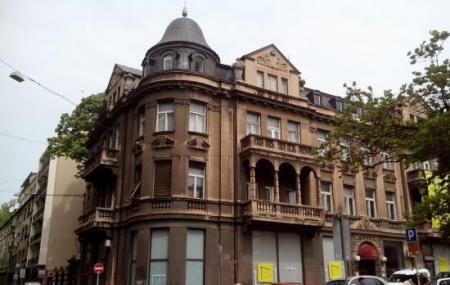 People normally club together Nebojsa Tower and Miners Pub while planning their visit to Museum Of Applied Art. Exhibition of rings and earings from the Roman and Medieval times. Semi precious stones, silver and gilded jewellery on display with a digital presentation. Great collection! What a great experience visiting this museum. Such inspirational place. Brilliant pieces to see and new talent to admire. It deserves (needs) more public presence. It's a humble museum with quite interesting exhibitions, definitely worth to visit, especially at the momemt, because of Makers: Art and Science exhibition. The tickets are 200 rsd (apx. 1.5e), museum has 3 floors, each floor has one exhibition going on.